Ruth Bader Ginsburg discussed Roe vs. Wade on its 40th anniversary at The University of Chicago Law School in May. Justice Ruth Bader Ginsburg has been one of the most important jurists on the Supreme Court over the last 50 years. The second woman ever to serve on the court, Ginsburg has become during her 20-year tenure the strongest judicial advocate for women’s rights in the nation’s history. She embodies exemplary personal strength — twice a cancer survivor, she belies her 80 years and frail appearance with an energetic schedule of appearances and speeches away from the court. At hearings, her soft-spoken, courteously phrased questions cloak a dogged insistence on clear answers. Ginsburg is also the senior member of the court’s four-justice liberal bloc. As in last year’s Obamacare decision, she often takes the lead in articulating the counterpoint to the views of the right wing of the court, personified by Antonin Scalia. She is also beloved; those who know her speak of her understated grace and gentleness. But Ruth Bader Ginsburg should step down. Justices are appointed for life, but only three in the last 60 years stayed until death took them. Most leave either when health issues make their retirements necessary (Thurgood Marshall, for example), or when they voluntarily decide the time has come to step aside. The last three justices to leave — Sandra Day O’Connor in 2006, David Souter in 2009, and John Paul Stevens in 2010 — all left while they were healthy and vibrant. 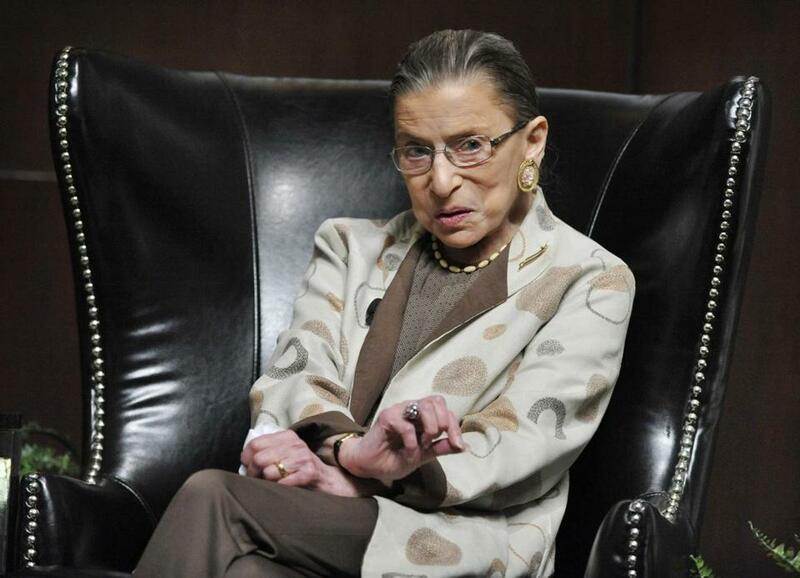 So the question facing Ginsburg is not whether to retire, but when. And the most important aspect of that decision must be when the president can choose a replacement most likely to protect her legacy. O’Connor, appointed by Ronald Reagan, announced her retirement in the first months after George W. Bush won reelection and was eventually replaced by conservative Samuel Alito. Souter, though appointed by a Republican, was in the liberal wing of the court and retired in Barack Obama’s first year, allowing the president to nominate Sonia Sotomayor. Many court watchers expected Ginsburg to give her notice before last year’s election, to avoid the risk of a Republican winning the opportunity to replace her. Perhaps she was confident in an Obama reelection, but for whatever reason she took that risk. The payoff may be revealed in the coming days, when the Court announces its final opinions from a particularly pivotal year when it considered affirmative action, voting rights, and gay marriage. But she should not risk further delay. If she announces her retirement now, the president will be able to choose a replacement from an impressive short list that almost certainly includes California Attorney General Kamala Harris and California Supreme Court Justice Goodwin Liu. Harris would be the Court’s first African-American woman; Liu its first Asian-American. Either would be worth Obama spending political capital to champion. Because this is not an election year, the Senate’s confirmation hearings could occur with relative dispassion, and the chances of Republican filibuster would be minimized. There will be huffing and puffing, of course, but chances are that Obama will get his choice. And even if this account overstates the functionality of a dysfunctional Senate, things only get worse from here. Next year Obama will likely be politically weaker. Nearly two-thirds of the 33 Senate seats up for election in 2014 are held by Democrats, and most of those seats are in swing states where a vote for a progressive Supreme Court nominee during the election season could be an albatross. The Senate Republicans will be more willing to filibuster as well, since if they hold out past November the Democrats could very well lose their majority. And if the Democrats indeed lose their majority in 2014, Obama’s options thereafter are reduced to nominating a milquetoast moderate. Ginsburg need only look down the bench to see the embodiment of the risk she is running. Thurgood Marshall, the first African-American on the court and a liberal lion, had to leave for health reasons under the presidency of George H.W. Bush. Bush appointed Clarence Thomas, who is even more conservative than Scalia. Ginsburg has soldiered on through bouts with cancer, the death of her spouse, and two decades of battles with Scalia and Thomas. But if we reach the end of this term without her retirement, it will be a victory for those who oppose everything she stands for. Kent Greenfield is a professor of law at Boston College Law School and a former clerk to Justice David H. Souter.